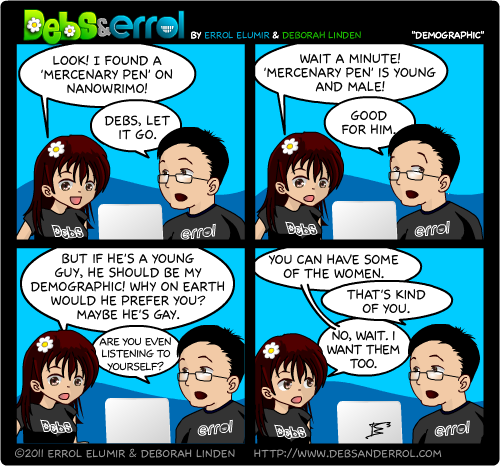 Errol: Once again, this conversation happened that fateful night when Debs found out that Mercenary Pen preferred my comics. Don’t worry, MP, we STILL aren’t stalking you. At least, I don’t think we are. I’m not. I’m in Calgary on Vacation. I have no idea what Debs is doing. Probably dating. On consideration, my comment on this is that I consider myself to be a person, not a demographic.